Ten thousand brown trout were stocked in the 2018 fishing season averaging between 16ozs and 32ozs, almost 5¼ tonnes in total weight. Stockings took place on 26th March, 30th March, 30th April, 4th June and the 9th July. The average weight stocked in 2018 was 1lb 1ozs. The table alongside shows the average catches per visit to Loch Earn over the past ten years. This is information supplied by Associate Member Season Ticket holders and includes all fish caught. This table also gives the % of returns we receive back from our Associate Member Season Ticket holders. This year’s information represented 89 days fishing effort where a total of 256 fish were landed giving an average catch per visit of 2.9 fish compared to 6.1 fish in 2017. Total fish killed 56 (22% of total) and fish returned 200 (78% of total) which indicates a very healthy percentage of fish are being returned. There is no doubt whatsoever that the extremes of weather we experienced during the 2018 fishing season were reflected in the catches. 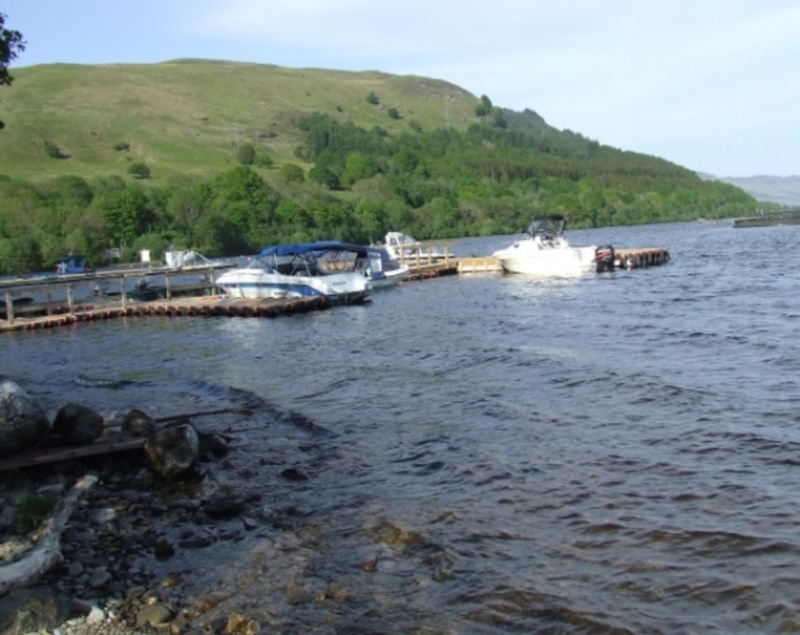 Very cold water temperatures at the start courtesy of "the Beast from the East" followed on by one of the longest hottest, driest spells on record with air temperatures reaching 33C with the water temperature in Loch Earn reaching 23C at its peak. Salmonids such as trout require water high in dissolved oxygen and at 23C this is not possible so they move into the cooler water below the thermocline which sits at around 4C to 10C and is rich in oxygen. Anglers with fish finders on their boats reported large numbers of fish sitting in water between 70 – 100 feet deep for long periods during the summer months. 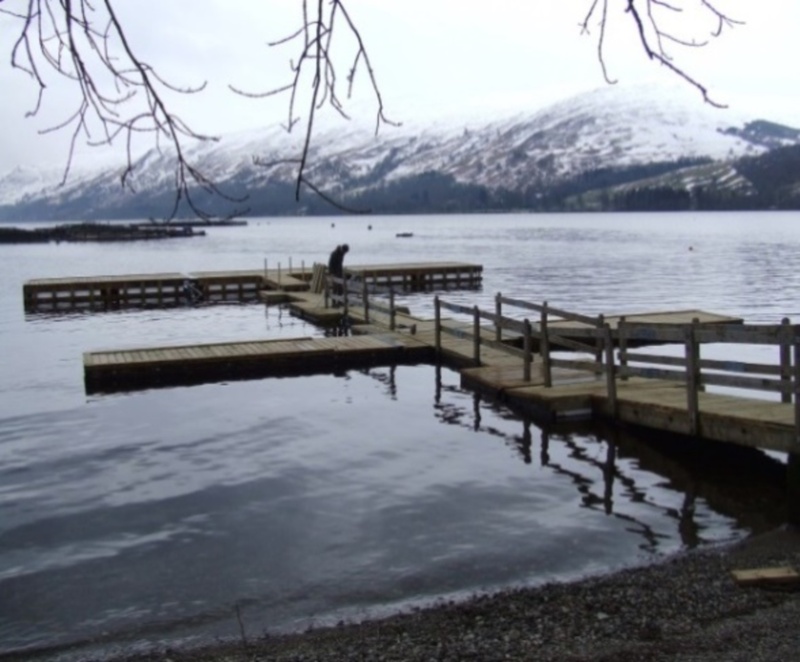 For the avoidance of any doubt Loch Earn Fishings only stocks Loch Earn with triploid Brown Trout. Angling Clubs also had their fair share of success. As you can see from the above figures Angling Clubs are also playing their part in conserving fish stocks by returning over 52% of their fish. 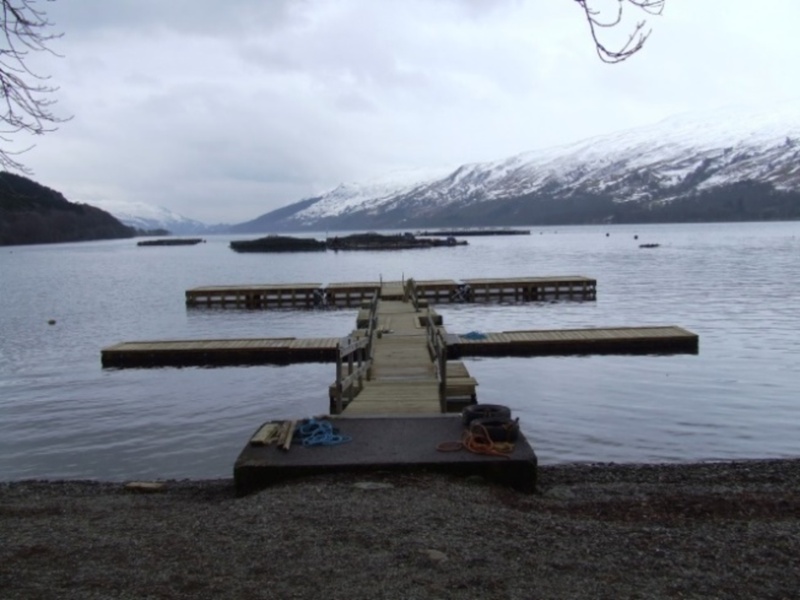 The main project for last winter was to look at upgrading our jetty facilities. 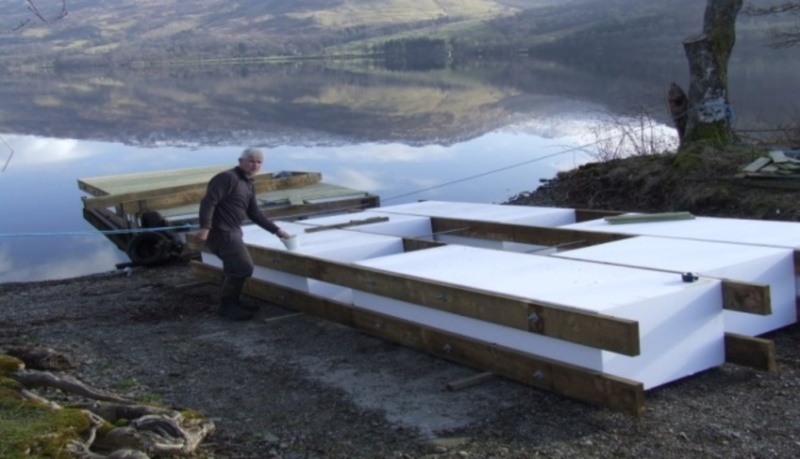 It was fifteen years ago since we first put in our floating bridge and it has served us well, however over time the amount of boat traffic has increased dramatically and the polystyrene flotation had lost a lot of its buoyancy. We first looked at the plastic option for fairly obvious reasons and there are many good examples of these around Scotland however after consideration the cost was well outwith our budget. 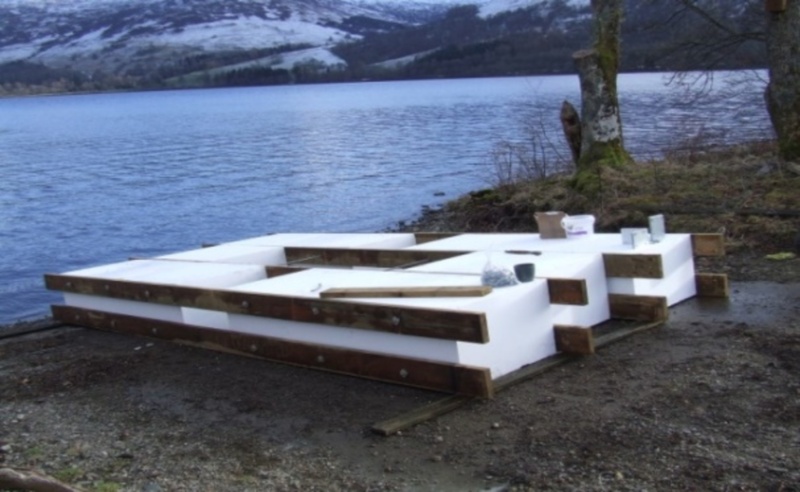 We took the decision to go down the route of refurbishing our existing platform by replacing all the polystyrene sections and adding a new beefed up platform at the front which is three times the length of the previous one. As a result we have greatly increased our harbour area and this has led to a decrease in congestion especially at weekends and periods of prolonged sunshine as we had this season when everybody wants to use their boats. 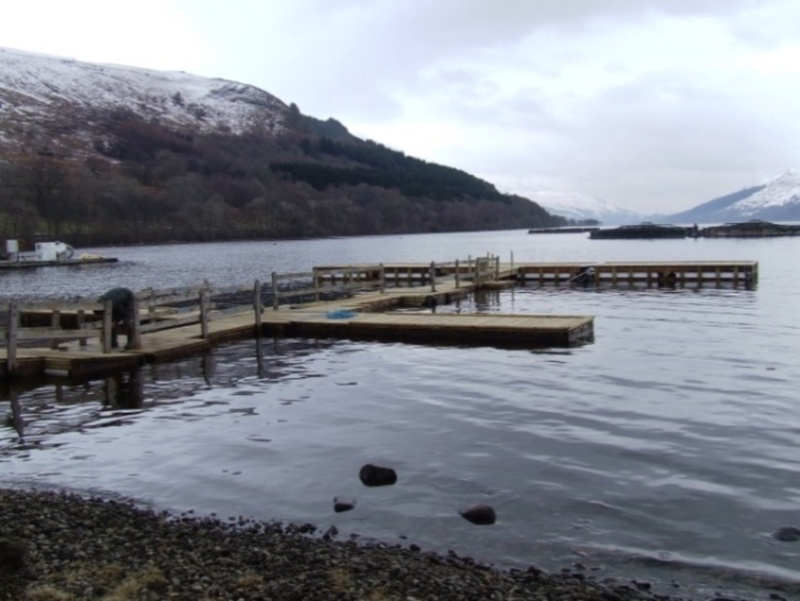 In the past two seasons Drummond Estates has invested the best part of £40,000 in a new slipway and jetty which hopefully will give our many boat users years of service and pleasure. This years recipient of the new Glenturret Sherry Cask Whisky goes to Chris Miller from Callander! He was first out of the hat for this years prize draw. Congratulations, Chris. I had reports of a 31lbs Rainbow caught this season by Grant Ferns from Glasgow out fishing in his own boat but unfortunately I do not have a photo to show you. This is the second heaviest Rainbow Trout reported during the 2018 fishing season and was taken by Associate Member Season Ticket holder Neil Anderson from Larbert out in his own boat “Hooked” on the 21st April 2018 trolling an Orange Rapala as he cruised through Ardveich Bay. The huge fish tipped the scales at 25lbs.